In 2001, as part of a class project collecting the testimony of World War II veterans, Mr. Matthew Rozell, a teacher at Hudson Falls High School in a small town in upstate New York, interviewed a tank commander, the grandfather of one of his students, who mentioned one day in combat in April, 1945 in which he and another tank commander were ordered to go and investigate a train full of civilians that they stumbled across during the final battles of the war in Nazi Germany. His curiosity heightened, Mr. Rozell began to dig deeper into what had really unfolded on that day. This long forgotten event was about to spring to life; the result of this teacher’s work has made a profound impact on thousands of lives all over the world. In April 2010, as a U.S. Holocaust Memorial Museum Teacher Fellow, Mr. Rozell was invited to witness the nation’s Days of Remembrance ceremonies held in the U.S. Capitol Rotunda, honoring the liberators of the camps. He was also named as the 2009 Daughters of the American Revolution Outstanding Teacher of American History for New York State, and on the national level, chosen as the 2010 Organization of American Historians Tachau Teacher of the Year in Washington, DC. To date, he has organized five reunions and was also honored on September 25th, 2009 as the ABC World News Person of the Week for his efforts to keep history alive (“Teacher takes students on a journey of humanity”). He has taught history at his alma mater for over two decades. 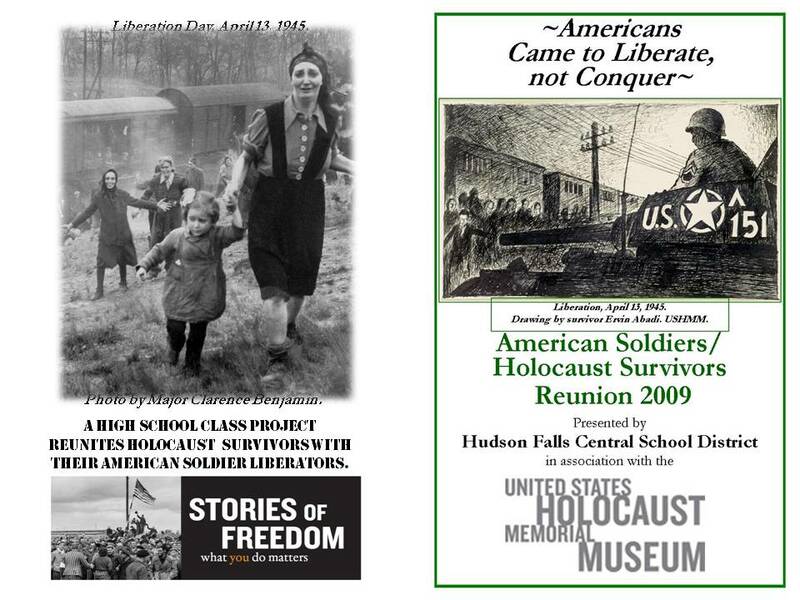 The 2 DVD set celebrates the American soldiers and the Holocaust survivors whose lives were saved by this chance encounter. Soldiers from all over the nation and survivors from all over the world have come together to offer testimony and meet each other, in many instances, for the first time since liberation day on April 13th, 1945.